Hard to believe, but it’s now less than 80 days until the 2017 New York City Marathon. I’m back on the Hanson’s Training Method once again (with a few alterations, which I’ll explain below). It’s still early yet, of course, but I am encouraged by the current results that I can achieve my twin goals of (1) running under four hours and (2) enjoying every minute by running without pain or suffering too much. As usual, though, training has become that delicate dance between intensity and protecting an ever-aging body. Which makes this post for week five a tale of the good, the bad, and the ugly. There seems to be quite a bit of this going round at the moment. First, I’m doing my Tuesday night speed training with the good folks at the Rochester Running Company. Already, under the watchful eye of Drew Macmillan, I’ve done fartleks, hill repeats at race pace and intervals a minute faster than race pace. And the addition of group runs with others of mixed abilities and paces has really made the chore of speed work much more fun that it has been in the past. While they may have helped build some character, the lonely days of pounding the isolated West Trail of Onondaga Lake Park on my own to pick up a second or two on my race pace are definitely a thing of the past. … the left IT band is still problematic. Drew has pointed out the my stride needs to be longer — I am not extending my hamstrings fully, and that means I am placing a lot of strain on the IT going down from the glute to the calf on my left side. And I am noticing that my hips are also very tight. To remedy, I have been working hard on my form, concentrating on posture, trying hard to lift my knees while still retaining an economy of motion. I don’t know if I am succeeding or not. All I know is that today’s 10-mile long run was pain free and pretty effortless. “Let’s go for a bike ride around Canandaigua Lake,” said Tessa. “It’ll be fun, and we can climb some great hills in the process,” she said. What Tessa didn’t say is that a road bike, a steep downhill, and gravel don’t mix. And, believe it or not, my leg was less painful than my right thumb, which got bent backwards, and less painful yet than several ribs on my left side, which got bruised in the process. But I am still going ahead with the cross-training, substituting one or two easy runs each week for a bike ride of equivalent duration. If nothing else, it keeps the pressure off the IT band while keeping my fitness level up and avoiding monotony. Support: Follow me and send me encouraging notes on Facebook, Twitter, LinkedIn, or right here as I train and prepare for the big event. Share: Forward my social media or Vagabond Shoes posts to your friends, family, colleagues, or anyone else you think might be interested. 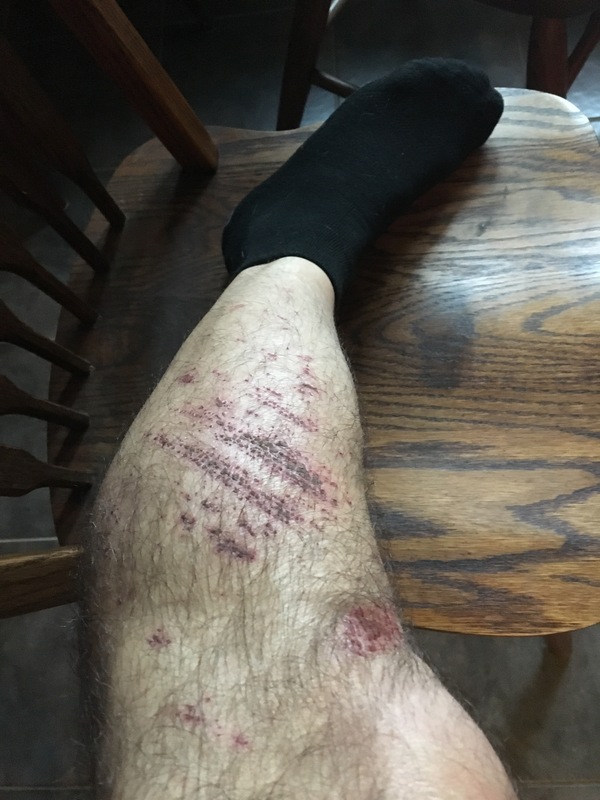 Sponsor: Please consider giving to my ER&D fundraiser by going to my page: https://my.episcopalrelief.org/brucepegg. In true ER&D style, we can all make a big difference one small donation at a time. So give what is in your heart — your whole bank account, some change from your piggy bank, or (preferably) something in between — and let’s make this Fifth of November something to truly remember. The adventure has begun! Send me your thoughts and I’ll feature them in the next Vagabond Shoes. 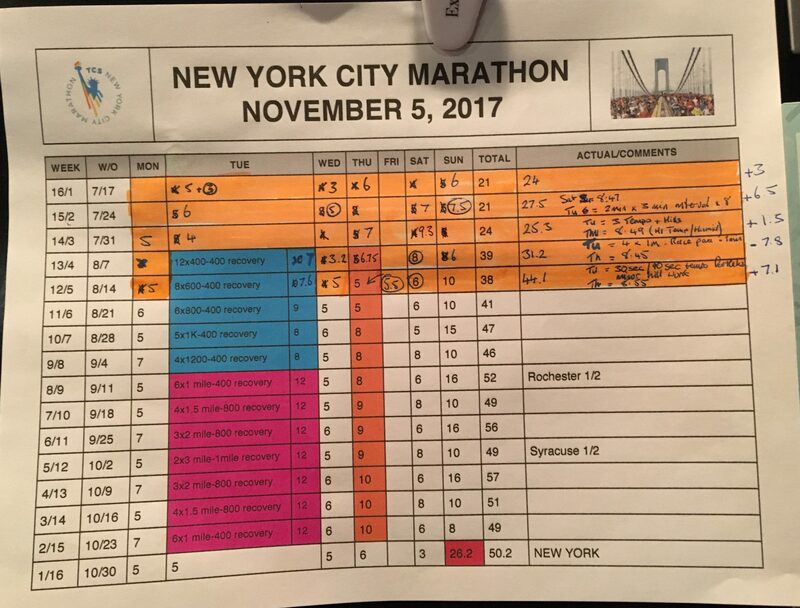 This entry was posted in The Flat-Footed Fox, Vagabond Shoes and tagged Episcopal Relief & Development, Hanson's Marathon Training, long-distance running, marathon training, TCS New York City Marathon, virtual training. Bookmark the permalink.